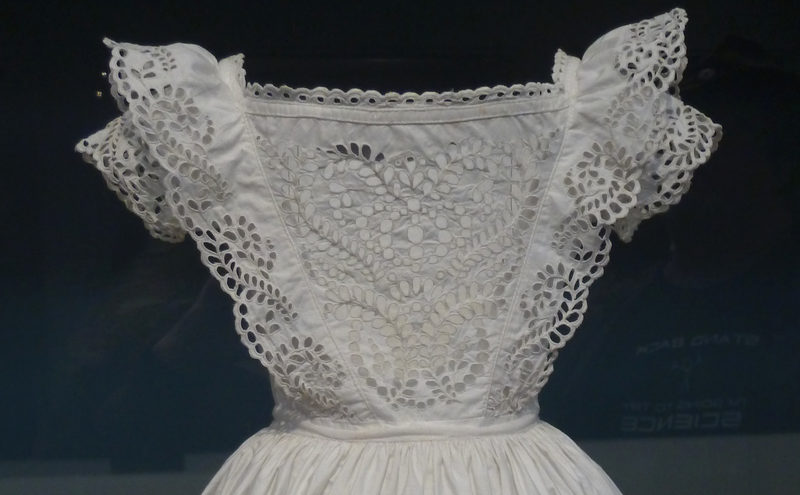 Broderie anglaise is a whitework needlework technique combining features of embroidery, cutwork and needle lace that became associated with England, due to its popularity there in the 19th century. 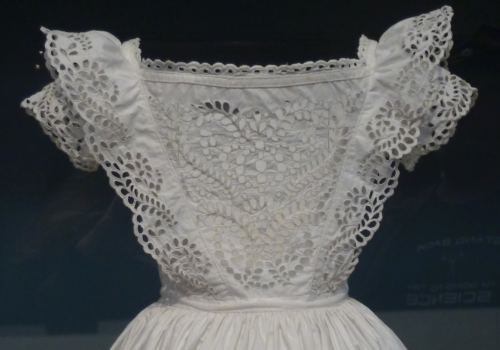 Broderie anglaise is characterized by patterns composed of round or oval holes, called eyelets, which are cut out of the fabric, then bound with overcast or buttonhole stitches. 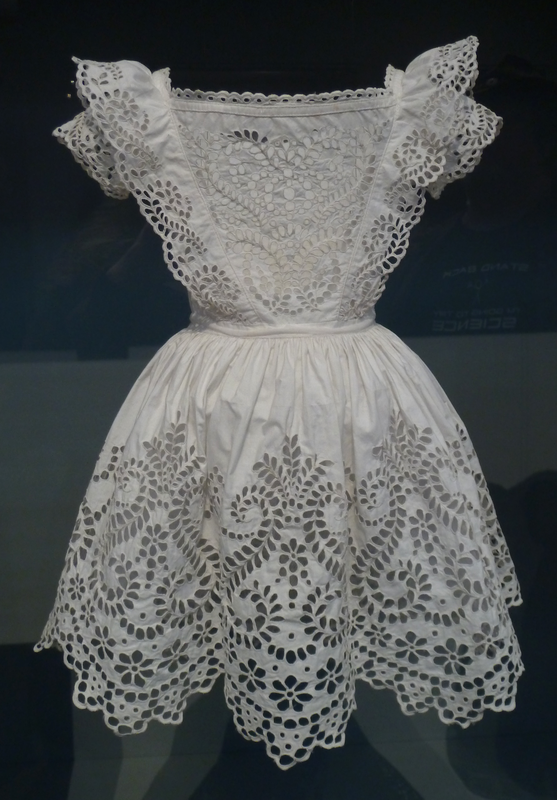 The patterns, often depicting flowers, leaves, vines, or stems, are further delineated by simple embroidery stitches made on the surrounding material. 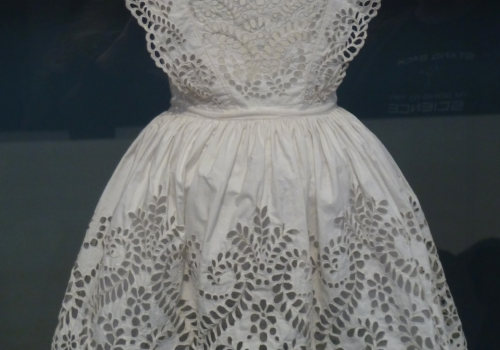 Later broderie anglaise also featured small patterns worked in satin stitch.